While an undergraduate at Yale University from 1909 to 1914, Cole Porter (1891-1964) lived at this location in a single room in Garland Lodging House, which is no longer extant. From his home in Indiana, young Cole arrived in New Haven with a wardrobe of checked suits, pink and yellow shirts, and salmon-colored ties, which he considered proper Ivy League attire but which made him stand out like the proverbial sore thumb. Luckily, he also brought a battered upright piano. 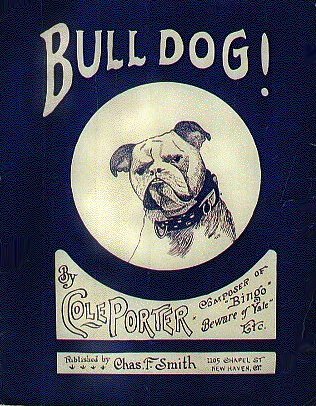 To win over his more genteel, upper-crust Yankee classmates, Porter composed and performed songs with droll, uniquely rhymed lyrics. His earliest known compositions for which he wrote both music and lyrics were “Bridget McGuire” and “When the Summer Moon Comes ‘Long.” He also wrote Yale-themed songs, like “Bull Dog” and “Bingo Eli Yale,” many of which included the names of the young men whose companionship he craved. His close and longtime friendship with actor Monty Woolley dated from their Yale days.